Gary Young founded Young Living Essential Oils in 1994 to share their profound healing and therapeutic powers with the world. Gary experienced the power of essential oils first-hand after suffering a near fatal accident that left him paralyzed and confined to a wheelchair. He began researching and experimenting with natural remedies to perpetuate his healing. Gary was eventually able to fight back the tremendous pain and progress from a wheelchair, to crutches, to a walker, to walking unassisted. Due to his amazing story, many people went to Gary Young for help with their own conditions. To better server others, he opened his own clinic. It was at his clinic, 13 years after the accident, that he was introduced to essential oils. Enthralled by the amazing health benefits essential oils produce, Gary traveled the world to learn about their healing properties and the best distillation processes from leading scientists. After returning home, Gary developed his first organic farm in Spokane, Washington in 1990. Shortly after, he developed more farmland in Utah and Idaho and cultivated many herbs including lavender, peppermint, melissa and clary sage. This was the birth of Young Living Essential Oils. Through its proprietary Seed to Seal process, Young Living produces the world’s most authentic essential oils. 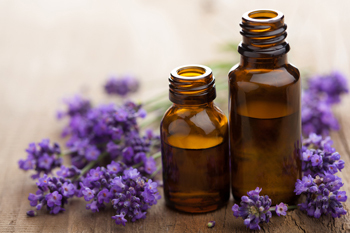 Over the years, the company has grown to meet the demands for pure essential oils. Today, it has offices and farmland all over the world. Due to Gary’s hard work, hundreds of people worldwide are reaping the wonderful health benefits of pure essential oils.